Because farmers spend most of their working days on their feet, it makes sense to invest in high-quality footwear. In addition to protecting your feet from the elements, a rugged work boot can offer some protection against blunt force caused by heavy equipment or livestock. Although every farmer is different, the desirable qualities of a farm boot are fairly universal. Features such as water resistance, a slip resistant outsole and a comfort gel layer will ensure strong footing as you walk through pastures. 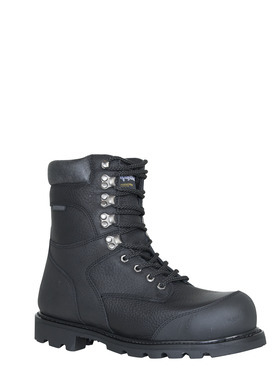 These features will also keep your feet warm and dry while navigating through manure slush. This Titanium Leather Boot features 800g Thinsulate™ Ultra insulation to keep out the cold and is made from water-resistant leather to keep feet warm and dry. This work boot also meets ASTM Safety Toe standards, meaning that it will provide protection to reduce injury from heavy impact. While we’re on the subject of footwear, let’s talk about the importance of moisture-wicking socks. Although your boots can repel moisture from getting into your boot, they can’t do much for the moisture caused by your sweat. When you’re sweating inside your boots, the last thing you want is a cotton sock that soaks up all your sweat and keeps it there. To avoid damp, uncomfortable feet, it’s essential that you wear moisture-wicking socks. 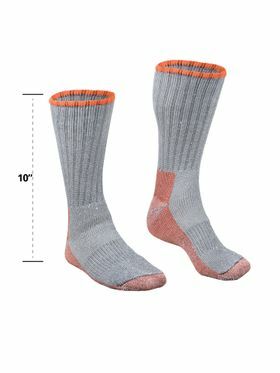 Moisture wicking socks are made from special materials that allow them to wick away moisture from the body to the outside of the material so that it can evaporate, leaving feet dry and warm. As a farmer, you’ll want not only moisture-wicking socks but also socks with some padding for additional comfort for the heel and ball of your foot. These leather boot socks are a perfect match for your Titanium Leather Boots and offer excellent insulation and breathability. From rain and snow to blisteringly cold windchill, a quality pair of insulated bib overalls can protect farmers from the most extreme cold weather conditions. 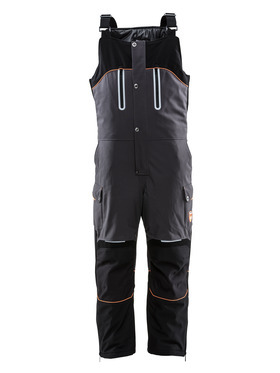 However, not all insulated bib overalls are created equal. The best bibs for farmers offer flexibility, insulation and resistance against minor tears and scrapes. Some homesteaders prefer the look and feel of duck bib overalls, while others want the comfortable, lightweight feel of an insulated softshell bib overall. Regardless of which bib you choose, pay close attention to the features. Make sure that your bib is wind-tight and water-repellant and provides enough insulation to keep you warm in cold temperatures. Additional features such as warmer pockets and scuff-resistant knee patches will come in handy when you’re fixing fences in the cold or need to give your hands a brief respite from the cold. To survive for long periods in the cold, farmers must know how to layer. Layering incorrectly can make you too cold and wet or even too hot and bulky. With the right base layer and mid layer, you can set the foundation for your cold weather gear. Let’s start with the base layer. The point of a base layer is to trap heat and wick away sweat. 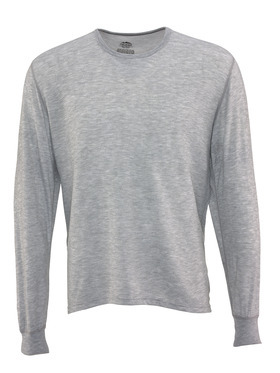 For farmers, a good base layer is usually thermal underwear made from a merino wool blend, which has both thermal and moisture-wicking properties. Mid layers provide additional insulation and draw heat to the next layer for greater warmth. Mid layers are usually sweatshirts and hoodies made from warm fleece. If you’re looking for the most amount of insulation in a mid layer, check out RefrigiWear’s Insulated Quilted Sweatshirt. Made from cotton/polyester fleece, our insulated quilted sweatshirt offers a triple layer of warmth with 310g insulation. It’s also made from shrink-resistant fabric, so there’s no need to worry about it shrinking in the wash.
An insulated vest is perfect for wearing over a mid layer (such as a sweatshirt) and offers greater core protection and versatility when it’s hovering around freezing. For example, you can wear an insulated vest over a flannel shirt or hoodie for added insulation while you work. The benefit of a vest is that you can easily take it on and off, depending on the weather conditions and your activity level. If you have a lot of farm duties that require extensive labor, you’ll probably work up a sweat quickly. 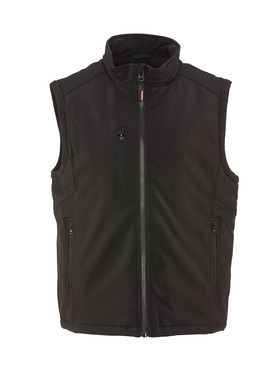 With a simple unzip of your vest, you can quickly shed a layer as your body heats itself. Bib overalls do a good job keeping your legs and torso dry. However, you still need an insulated jacket to complete the package. When choosing an insulated jacket, look for the thickness of insulation that the jacket provides. This is usually provided in grams and will give an indication of its ability to stand up to cold conditions. If you’re working outside in subzero temps, you’ll need a jacket with at least 100g to remain warm and comfortable. 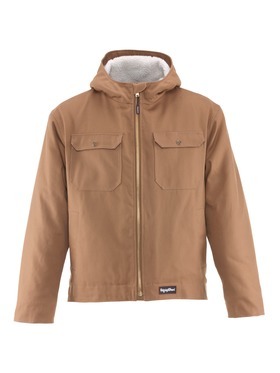 A logical choice of jacket for many farmers during the winter is an Arctic Duck Jacket. With 120g of insulation and a 10oz Sherpa pile interior, you’ll be warm and dry whether you’re feeding cattle or fixing gravel potholes. Additionally, they’re rugged, made to last and designed to work as hard as you do. Although duck jackets aren’t too difficult to clean, pay attention to washing instructions to avoid damaging the insulation. If you’re dealing with extreme cold and aren’t doing much in the way of ranching, you may want to look for a quilted jacket from RefrigiWear. Lightweight, yet warm, our Diamond Quilted Jacket provides 380g insulation and is both wind-tight and water-repellent. It also features a large, zippered pocket for your phone or mini-tablet—perfect for professionals who incorporate technology into their farming. Not all cold weather requires thick insulation and puffy jackets. For days that are above freezing, a light rain jacket may be best for some farm duties and chores. The point of an outer layer is to protect you from the elements – it doesn’t always need to provide additional insulation. For cold fall mornings or light rain in early spring, consider wearing a fleece hoodie underneath a cold weather rain jacket. 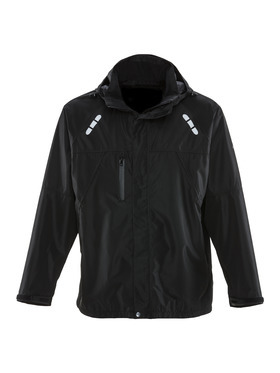 This Lightweight Rain Jacket from RefrigiWear is perfect for dealing with the wind and rain while you work the fields. Windproof, waterproof and breathable, this rain jacket features a detachable hood and a lining in the sleeves for maximum comfort and protection from the elements. The neck area is extremely sensitive to the cold, especially the wind. It won’t matter how insulated your torso and legs are if the wind is biting at your neck. A neck gaiter is a must-have garment for farmers and ranchers. With few trees to block the wind, farmland can be extremely windy and cold. A merino wool neck gaiter will block out windchill and provide warmth without being scratchy or irritating. Why merino wool? This natural-grown fiber has moisture-wicking and insulting abilities which can help keep your neck warm and dry. In fact, it can protect more than just your neck. 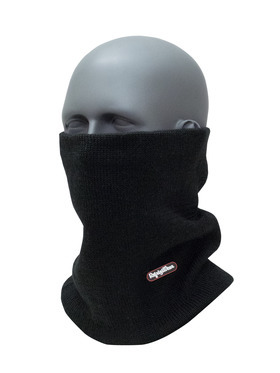 A neck gaiter can be pulled up to protect your nose, mouth and chin from the cold as well. Farmers frequently work with their hands to feel the soil, repair weathered fences or operate machinery. So you can’t have numb, clumsy fingers on the job. 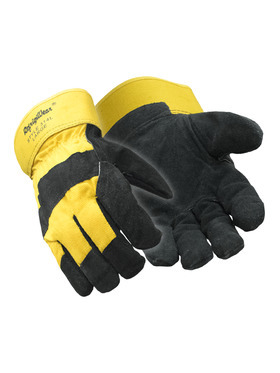 A pair of insulating gloves are essential cold weather gear for anyone working in the agricultural industry. These insulated Cowhide and Canvas Gloves have Thinsulate and foam insulation to keep your digits nice and warm in freezing temperatures. Insulated gloves can be both a blessing and a curse. Although the insulation keeps your hands warm, they can be a bit bulky. If you need something slightly less bulky while still providing insulation, you can take advantage of the natural warmth of cowhide gloves. Although it’s a common myth that we lose half our body heat from our heads, it’s still important to protect your head from the cold. This myth stems from the fact that you’re more likely to feel the cold where there are more blood vessels. In this case, your head has a lot of blood vessels. With a knit cap on your head, you’ll have some protection against windchill and snow. When you’re riding the ATV to go check on your crops, you’ll be grateful for the warmth that a merino wool cap will provide. We recommend our Watch Cap, which is made with merino wool and an acrylic blend knit. 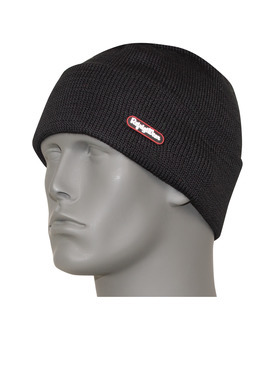 It also features a moisture-wicking lining to keep your head warm and dry in harsh weather conditions. From fixing equipment and doing routine repairs to making sure that animals have fresh thawed water, there is always something around the farm that needs work. As any farmer will tell you, it’s harder to repair fences and feed cattle when your body is frozen stiff. To stay focused and warm in freezing temperatures, you need farming gear that provides the perfect balance of warmth and movement. Let’s take a closer look at some essential pieces of cold weather gear that will keep you warm and protected while you work. When choosing cold weather gear, many items can seem like overkill. Do you really need a neck gaiter or bib overalls with heavy insulation? The answer is yes, and here’s why: It’s not just the cooler temperatures that can be dangerous when you’re working on the farm. It’s also the amount of time spent in the cold. While most farmers can handle bad weather for a small amount of time without essential cold weather gear, there are few farm tasks that take a bit longer to complete. And it doesn’t take long for frostbite or hypothermia to occur, especially with high windchill. While you look at each cold weather piece on this list, don’t ignore the importance of its unique features. The small details can make a world of difference when you’re battling extreme cold for hours on end. Working days may be shorter in the offseason, but farmers still need cold weather gear to brave freezing temperatures in safety and comfort. Here are the most essential clothing items that no farmer should be without in the dead of winter or early spring. Subzero winter days on a farm can be miserable when you aren’t properly dressed for the weather. With these essential pieces of cold weather gear, you can maximize your productivity and make the most of short, winter days. Just remember that knowing how to layer is key to staying warm in frigid conditions. If you need assistance finding the best cold weather gear or choosing the right base or mid-layer, RefrigiWear is always happy to help. Get in touch with us, and we’ll outfit you in cold weather gear that’s built to last.